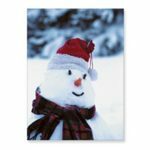 Christmas cards with logo from Calendar Lady Promotions offer you the best designs and artwork to make your Christmas cards with logo the best there possibly is to display! Click to view our Christmas cards with logo range. That's why so many companies come to us every Christmas. You choose the card and we'll get it printed up with your business details and your company logo. 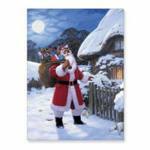 Click here to view our entire range of Christmas Cards. Other promotional and personalised items besides our Christmas cards with logo click here. To find out more about our Christmas cards with logo click here and fill in the contact form and we'll get straight back to you. Loads of different designs available!